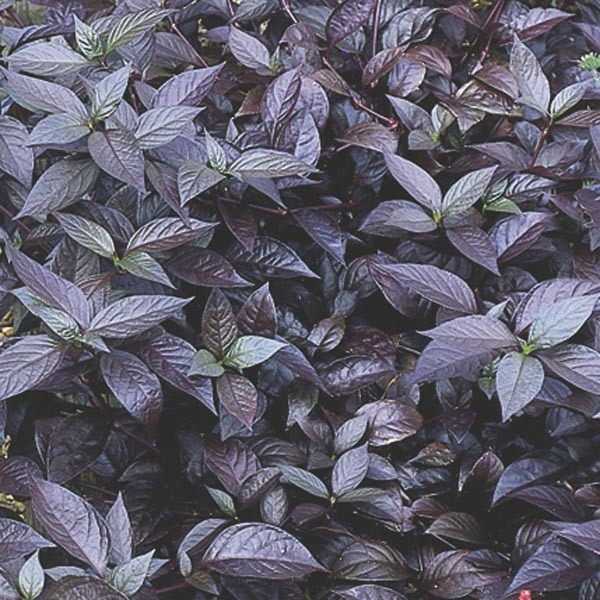 Alternanthera works well whether you need bold color contrast or a calm filler. Its many varieties offer choices of foliage that are solid or variegated and in shades of greens, reds, ands purples. An easy, season-spanning choice that also makes a wonderful houseplant. The perfect choice for beds and borders. Ideal for groundcover, hanging baskets, window boxes, and containers. Wonderful for combination plantings. Very easy to grow in virtually any location. Plant in fertile, well-drained soil. Water as needed to keep soil evenly moist, especially in hot weather. Trim back as needed.